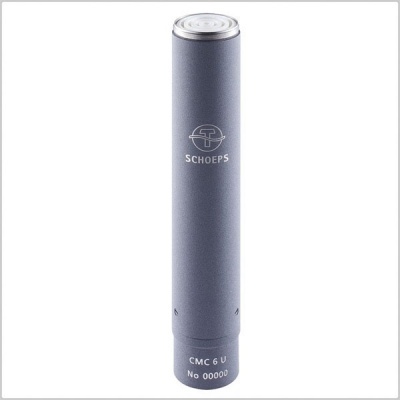 The microphone amplifier provides the electrostatic charge which the capsule requires in order to produce a signal. 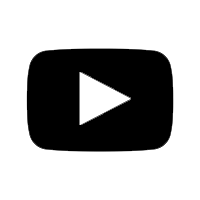 Since only a miniscule amount of current is contained in this signal, amplification of the current is required. To avoid interference to the signal on the way from the microphone to the input of the mixer or preamp, the signal is conveyed at low impedance and in balanced form. The CMC 6 Ug amplifier offers a symmetrical, transformerless, direct-coupled Class A output stage with low impedance, low distortion, and high freedom from interference. The Rycote InVision INV-HG MKIII Microphone Suspension addresses the demand for a heavy-duty shockmount to secure shotgun microphones. 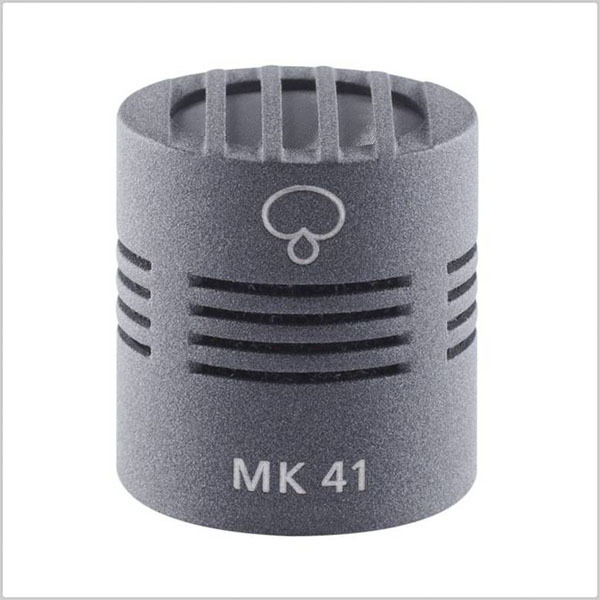 The INV-HG mkIII will minimalize handling noise, rumble, and vibration in all speech-capturing applications. 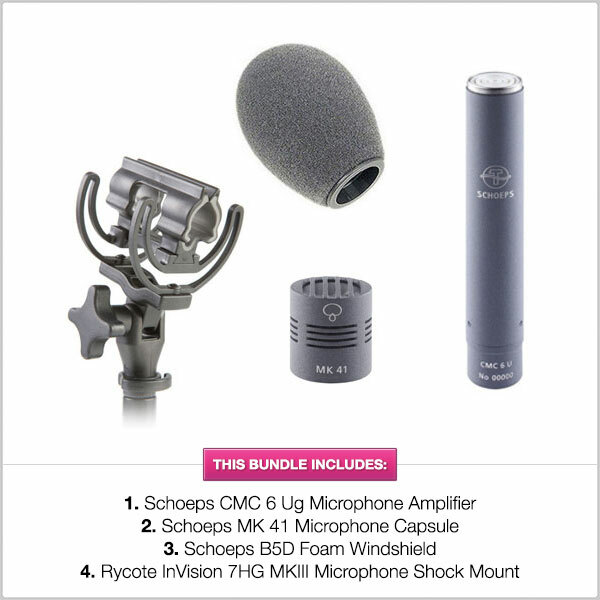 The InVision Lyre cradle accommodates most microphones measuring 19 to 25mm in diameter, like the Sennheiser MKH416 or MKH60. The cradle stabilizes even heavy microphones and allows the use of windscreens without sagging. A heavy duty swivel with a star knob fastens your mic tightly in place. The Lyre cradle rests on a miniature bar with a 3/8" threaded base and includes a 5/8" adapter. The INV-HG MKIII base features an integrated cable clamp for securing excess cable and minimizing noise. The unique Lyre suspension and cable clamp are engineered with Hytrel for a virtually indestructible design that maximizes shock and noise absorbtion. 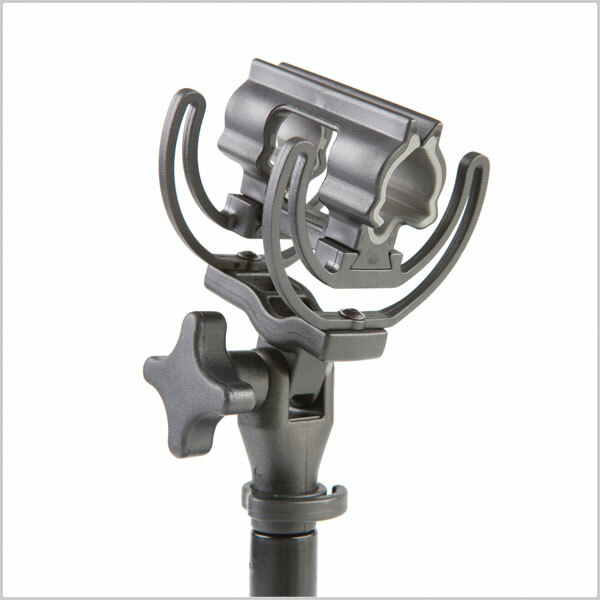 The Patented Rycote Lyre suspension cradle measures 70mm high and 40mm wide to accommodate heavier microphones. This is ideal for static stand mounting as well as boom placement. The cradle included with this system accommodates microphone diameters measuring between 19 to 25mm. The interior is treated with a soft-grip surface for a perfect, non-slip fitting. The unique Lyre suspension is engineered with Hytrel for a virtually indestructible design that maximizes shock and noise absorbtion. A 3/8" threaded base and a 5/8" threaded stand adapter is featured at the base for microphone boom pole and stand mounting. The B 5 D offers good effectiveness, yet has only a slight influence on the sound. It is made of foam but is hollow in the middle. This leads to an enclosed air volume around the capsule, just as with basket-type windscreens. 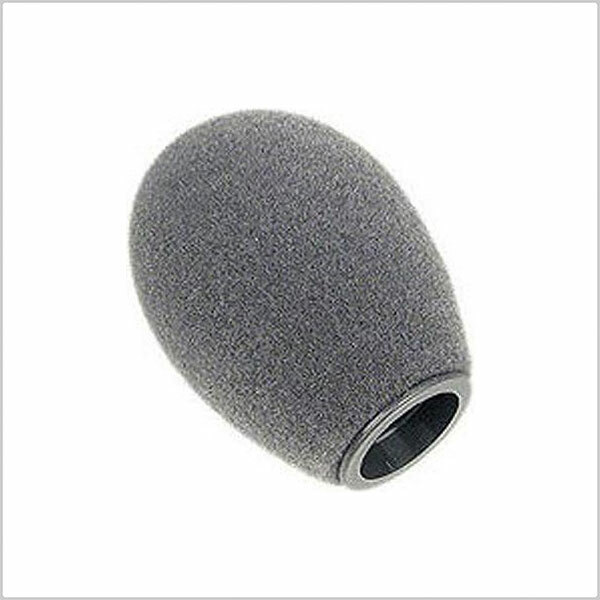 The microphone must be inserted up to the stop.